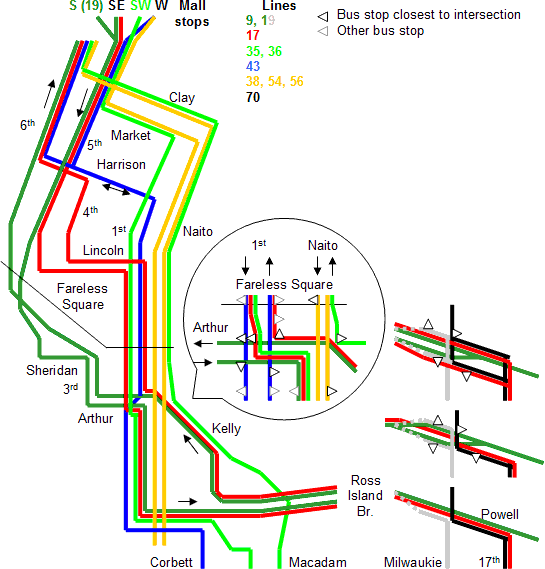 Map showing former bus service from the Portland Mall to the area south of downtown, including the 5 different routes buses take to or near 1st & Arthur. This also diagrams the Powell & Milwaukie intersection. Made by me in Microsoft Word 2002 ("XP").